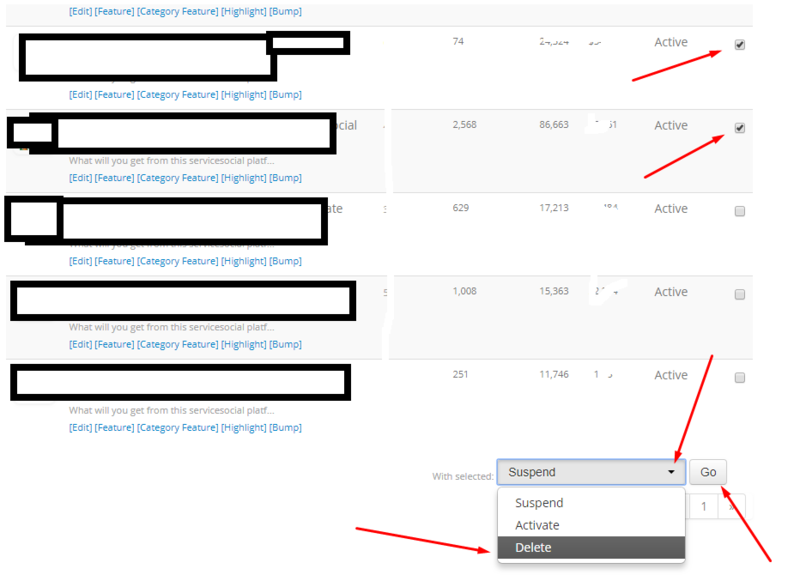 How to delete a service from my SEOClerks account. You can go on the services menu and click the delete button, it should be deleted, or try to contact their support to assist you properly. He said that he has not seen the delete button. I have not seen it too. So which one are you talking about? I think he means the drop down selector at the bottom of your manage services page. To delete a service, tick the service you want to delete, scroll down to the drop down selector and select "Delete", click Go and done! Easy peasy! Thanks for the simple step by step explanation! Yes, that's what I'm about to say, sorry for being wrong just correct me. This should have answered your question. I always like answers with pictures. This will help other people too. Thank you for sharing this one to us, I might save this picture so that I can use it in the near future. This is straight to the point. I'm thankful for the answer as well as this will enable me to work things out on how to delete services when I feel that I don't want them anymore on my account. It's quite interesting. I also look for that delete button because I feel it's hiding from us. Looks like he was playing hide and seek with that button. Anyway, it seems this one can be usefuuseful for me in the future. What's the update about this problem? Was it already fixed? We want to know if the answers that they gave helped you. You made me carry out a practical using this very post.Well,I've found out that you can edit the entire service but the space will remain for you to change your service. So you also have the option of editing,the edit button is just below your service,just like Facebook. If I want to delete my reply in FAQ section how can I do that? Why won't URLs turn into clickable links on SEOClerks? How do you get more people buying your services on seoclerks?